The decision you make on which dealership to visit near Gretna, LA, will significantly impact the vehicle you drive home in. Along with various options for auto loans, the best dealership has a professional sales staff eager and willing to help. Working with you as a valued customer, your salesperson will show you different years, models, and trim levels based on your driving style and budget. If you need financing, your salesperson will walk you over to the in-house finance department. There, you and a financial expert will go over your information, followed by searching for different auto loans for the one that best suits your needs. Having multiple connections to top lending and financial institutions makes it easier for the specialist to secure a loan for you with excellent terms and low interest rates. When it comes to auto loans, the financial expert handles the majority of the work. However, to streamline and speed up the process, you need to come prepared with specific documents and information. Make sure you bring the two most recent year’s tax returns, proof of employment and income, a current copy of your credit history from all three reporting agencies, and a government-issued ID. The person helping you may still need to pull your credit report. That individual will ask questions and verify the information you provided. If everything checks out, the financial expert will begin searching through auto loans to find one that works for you. With a perfect or near perfect FICO score, you can expect the dealer near Gretna, LA, to offer low interest rates. However, if your credit needs some work, you will pay a higher rate. Depending on your score, the specialist will broaden the search for the best loan or likely recommend you take six months to resolve some of the issues on your report and then try again. The great thing about working with the right dealer is the fact that they are usually more lenient with auto loans compared to a bank or credit union. With some flexibility, the financial expert has an easier time approving loans, even for people with less-than-perfect credit. Remember, the specialist will do everything possible to secure the financing you need to purchase a new, used, or certified pre-owned vehicle. 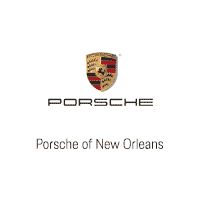 At Porsche of New Orleans, located in Metairie not far from Gretna, LA, we have a dedicated team of salespeople and financial experts. Start your new adventure of buying a fantastic vehicle by visiting us today.